Dr. Mathew’s patients appreciate his sincere interest in their health, and his constant attention to the latest advancements in dental care. Dr. Paul Mathew received his D.D.S degree from the prestigious New York University College of Dentistry. Due to his excellence and passion, he was chosen for a one-year clinical concentration program in cosmetic dentistry. There he was awarded the Quintessence International Award. He received extensive training in cosmetic dentistry and TMD/TMJ (jaw pain) therapy from the premier Las Vegas Institute for Advanced Dental Studies. His passion and enthusiasm for dentistry and his sincere interest in his dental work are commended by his peers and patients. 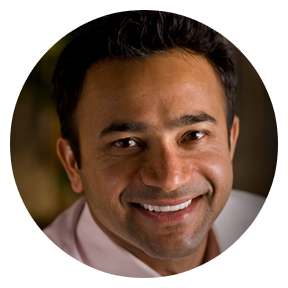 Dr. Mathew has an amazing eye for cosmetic dentistry and draws upon the talents of his team to make the best impact. Dr. Mathew’s patients appreciate his sincere interest in their health, and his constant attention to the latest advancements in dental care. Dr. Mathew is a high-energy, intensely focused person, this translates into a warm and caring demeanor that makes each patient feel happy, comfortable and relaxed, even in the dentist’s chair. Patients trust Dr. Mathew to use the latest techniques and treatments to create incredibly beautiful smiles, tackle tough dental problems, and provide routine care all year round to ensure a healthy mouth, teeth, and gums.